BAS Vans has the largest vehicle workshop in Europe and can carry out a service for your vehicle of choice from only 100 €. 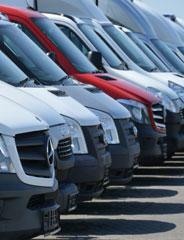 All vans & commercial vehicles offered by BAS Vans are available on a leasing contract. Enjoy fixed monthly cost and avoid surprises. BAS Vans is certified by RDW (Dutch vehicle licensing agency) and can register a vehicle in your name, carry out MOT and fit Dutch plates. Used vans & commercial vehicles Are you in need of a van / commercial vehicle? BAS Vans is a specialist in buying/selling used vans & commercial vehicles. We offer vans & commercial vehicles from all major brands. What makes BAS Vans special? Firstly we offer vehicles at the very best possible prices, but we're also offering warranty, leasing solutions, service contracts and even vehicle building & conversion services for the commercial vehicle of your choice. BAS vans offers used vans & commercial vehicles in a variety of of types and models; small & large vehicles, open & closed vehicles, with or without tail lifts, kippers and more. Have a look at our stock or ask our sales specialists for advice to find out which commercial vehicle fits your business needs best - you are welcome to come over and do a test-drive! Right now we also have a great deal on the New Ford Transit Custom. Trading-in vans & commercial vehicles Are you looking to sell, trade-in or part-exchange your current van / commercial vehicle? 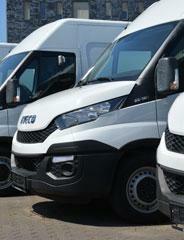 BAS can help you as we're interested in commercial vehicles of all models and ages. Having many years experience in trading commercial vehicles, we're confident we can offer you a fair and competitive price for your van or commercial vehicle. We're exporting vans & commercial vehicles to over 100 countries worldwide and know very well what the international market value of your vehicle is.If you would decide to sell us your van / commercial vehicle, we can come and pick up the vehicle free of charge if the vehicle canbe picked up within an acceptable distance; of course you're free to come an drop it off in Veghel, Netherlands too. We'll do all the paperwork so you don't have to!